Doodlecraft: Peter Capaldi Galaxy TARDIS Shirt--12th Day of Doctor Who! Peter Capaldi Galaxy TARDIS Shirt--12th Day of Doctor Who! 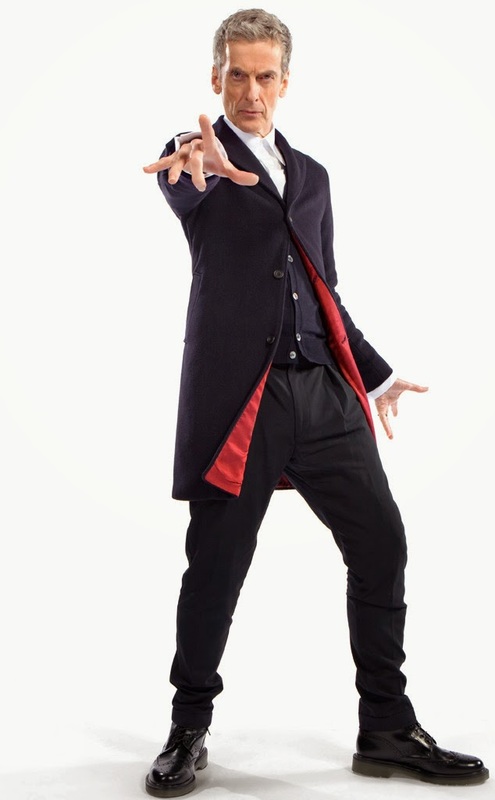 What do you think...do you love Capaldi as the Doctor? love at first sight like it was with David Tennant. "Still don’t understand why you’re in charge"
Doctor: "Basically, it’s the eyebrows"
I used freezer paper and cut big blocky letters out with my silhouette machine. They were simple enough they could be cut by hand. I didn't even cut the centers of the letters. shiny side of the freezer paper onto the shirt. Add a TARDIS and it's ready to go! I laid it out on the patio. Wait just about 5-10 minutes. Then spray again if there are any places that need more. It will turn very coral. Peel off the freezer paper...careful not to bump any other part of the shirt! Then rinse the shirt in hot water and ring it out. I use Tulip One Step Dyes for the color! plastic and let it sit for 6 hours or so. Remove from plastic and rinse in the sink until the water runs clear. Then wash in a normal cycle! Some of the color will fade...but it's awesome! Love the look of mist and nebulas! That's the 12 days of Doctor Who Christmas Countdown! so you can surprise someone this Christmas too! 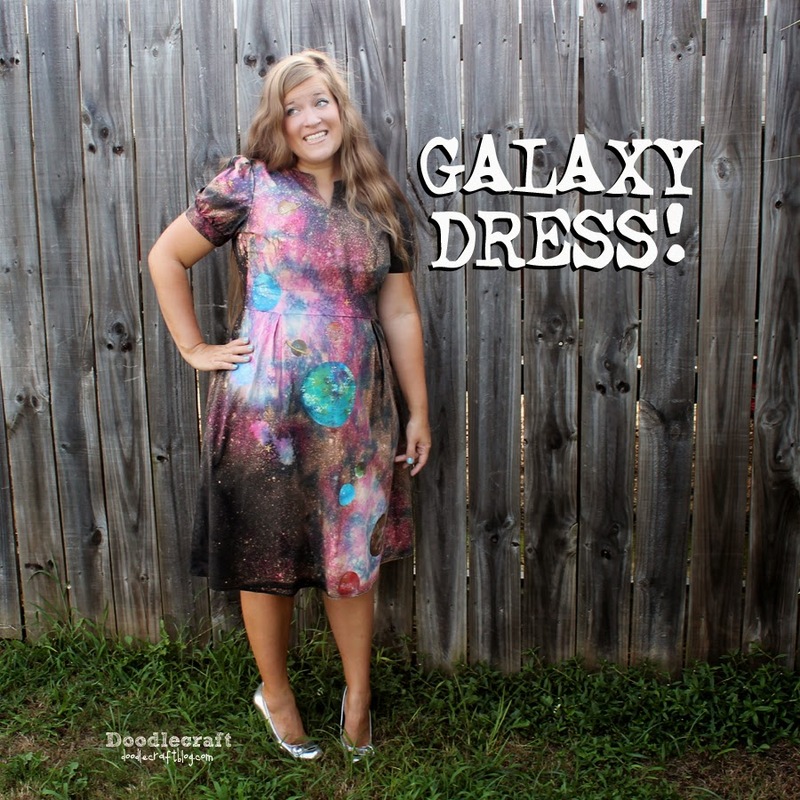 Here's some other fun Galaxy ideas too!